The Clean Boost is a very clean boost with lots of volume and headroom. Great to overdrive tube amps. 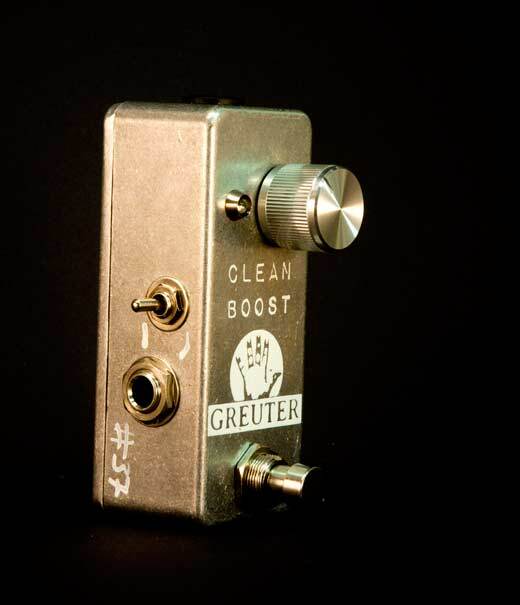 The pedal doesn’t overdrive by itself, but since the Clean Boost has about +20db of gain, it easily overdrives the input stage of your tube amp. 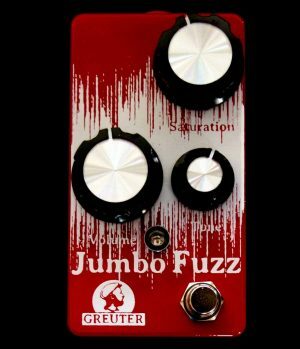 It’s very clean and supports the character of your guitar. 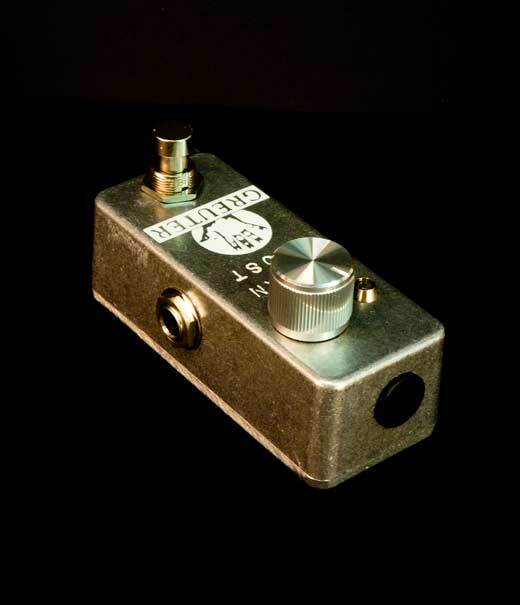 It boosts treble and bass slightly to open up your sound for more definition, specially with cranked tube amps. 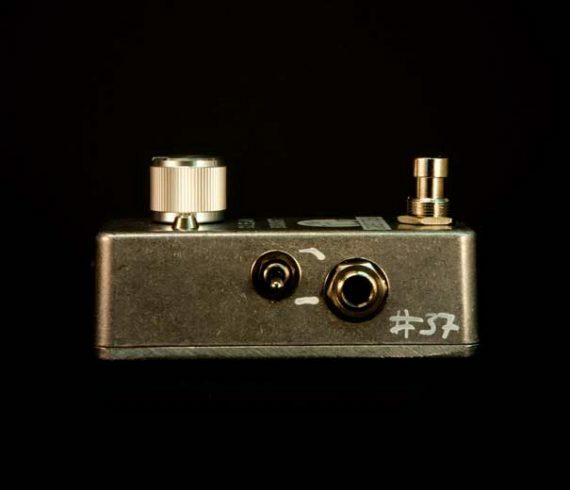 There’s one problem with this pedal: once it is on, you don’t want to switch it off again. I’m very sorry for that. It also sounds great with bass guitars. The Clean Boost works with a normal 9V (only!) adapter. It has a built-in power boost, which boosts the voltage up to about 18 volts for more headroom. A mini switch allows you to cut the highs, than it works more like a mid boost. Volume: Lots of volume, up to about +20db of clean gain. 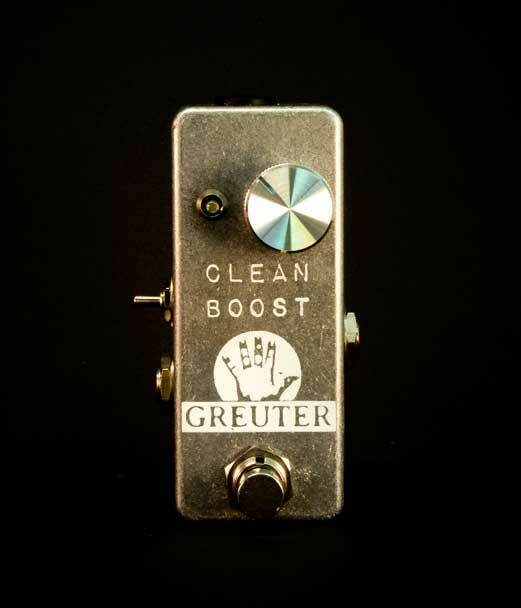 Hi-Cut Switch: Cuts the upper treble and turns it into a mid boost. 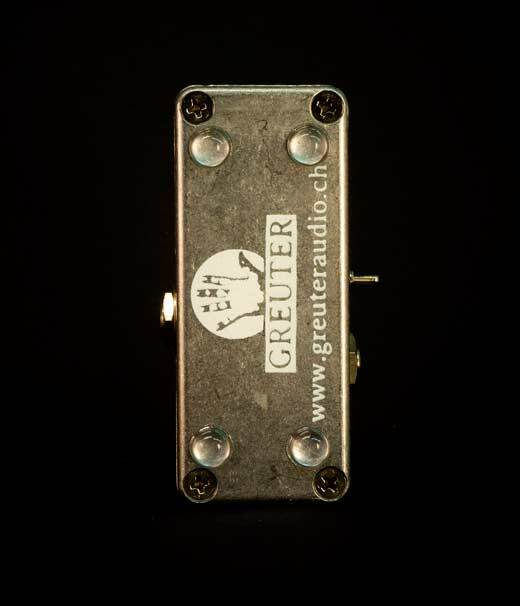 Works with a normal 9V ac/dc adapter (negativ tip) like 1Spot 9v adapter or Boss PSA 9v adapter (not included). No battery, there’s no space. is a very clean boost with lots of volume and headroom. 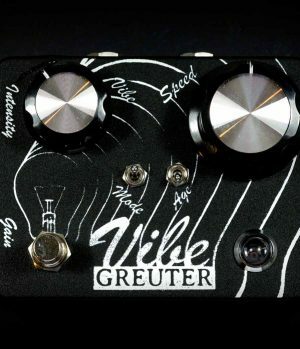 Great to overdrive tube amps. 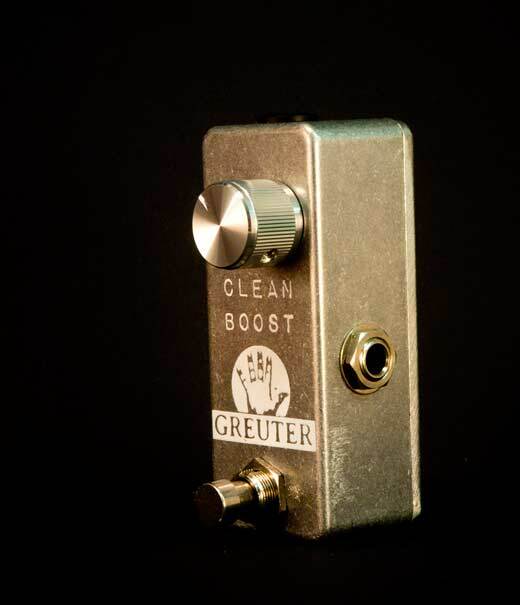 The pedal itself doesn’t overdrive by itself but since the Clean Boost has about +20db of gain, it easily overdrives the input stage of your tube amp.It’s very clean and supports the character of your guitar. 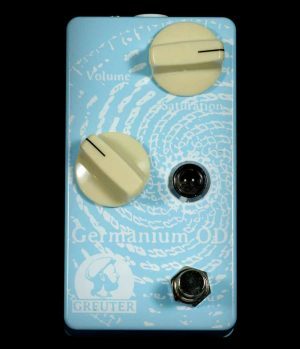 It boosts the treble slightly to open up your sound for more definition, specially with cranked tube amps.There’s one problem with this pedal: once it is on, you don’t want to switch it off again. I’m very sorry for that. 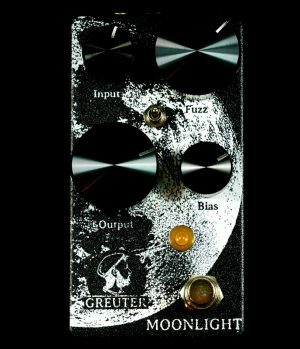 You can pre order this pedal.